Activities that come under the umbrella of animal research cover areas as diverse as wildlife fauna surveys (carried out to assess the types of animal that live in an area), medical research to improve human health, veterinary research to benefit other animals, and teaching using animals in schools. Each state and territory has its own laws that cover animal research. Although these vary a little, all recognise a national code: The Australian Code of Practice for the Care and Use of Animals for Scientific Purposes (the Code). This detailed document sets out the principles on how animals may be used for research (including teaching). emphasises the responsibilities of all those involved in the care and use of animals. This embraces a duty of care that demands a genuine commitment to the welfare of the animals, a respect for the contribution the animals make to research and teaching and a desire to promote the animals’ wellbeing. •	refinement of techniques used to reduce the adverse impact on animals. The 3Rs form the basis for considering whether and how animals are used in research. A central component of the Code is the role of animal ethics committees (AECs). A review of the current version of the Code is nearing completion. The revised version is likely to continue to uphold the pivotal part played by AECs. Establishments that carry out animal research must set up an AEC or have access to an AEC. AECs act as the gatekeepers for the conduct of animal research. They have a key role in ensuring the 3Rs are applied to animal care and use. No animal research may be carried out without the approval of the establishment’s AEC. 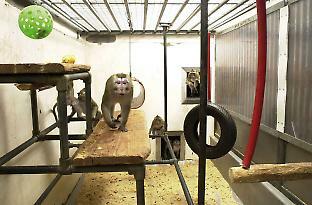 The AEC also monitors how the research it approves is carried out and how animals are cared for. •	person who is both independent of the establishment and who has never been involved in the use of animals for research and teaching. This representation allows for community participation in the decision-making on using animals for research. It also provides for scientific input to the dialogue on animal use. No research using animals may be carried out without the approval of the establishment’s AEC. The Code sets out detailed information that must be provided to the AEC to enable it to decide whether the research can be approved. •	ways in which animals will be monitored and cared for. The AEC must carefully consider all of this information in reaching its decision. It must take into account whether the likely outcomes and benefits of the research justify the possible detrimental effects on the animals to be used. If the research is approved, the AEC must decide whether the measures proposed to minimise the impact on the animals are sufficient, or if more stringent conditions should be applied, to ensure the principle of refinement is implemented in practice. The Code requires that each AEC monitors the conduct of the research it approves and the care of the research animals. One of the main means of doing this is by regular inspections of animals and facilities by members of the AEC. The AEC also considers progress reports from researchers, which must be provided at least annually for each approved research project. AECs have the power to stop research – for example where unpredicted animal welfare problems occur during the course of a study. They can require that emergency care, including euthanasia if necessary, is provided for animals. AECs also provide guidance and support to researchers on matters relevant to animal welfare, including preparing guidelines and disseminating relevant scientific literature. In addition, AECs are responsible for advising establishments on the changes to physical facilities that should be made to best meet the needs of the animals used. In NSW, the Schools AEC oversees the use of animals in schools throughout the state. This AEC acts on behalf of the three schools sectors: the NSW Department of Education and Communities, the NSW Catholic Education Commission, and the Association of Independent Schools of NSW. Information on the systems for schools outside NSW can be obtained from government animal welfare departments in each state and territory. The range of teaching activities using animals that are carried out in schools is varied. School students may, for example, be introduced to the proper care of animals that are kept as classroom pets. The majority of animal use is in agricultural high schools that train students in livestock care and management. To effectively carry out its role across this broad sector, the Schools AEC has developed systems to assist its operation. A key component of these is the comprehensive document “Animals in Schools: Animal Welfare Guidelines for Teachers”. This guideline includes a list of activities using animals, and links each activity to an educational objective, and assigns a category to each activity. These categories (1–5) describe the circumstances under which the activities may be carried out. Category 1 activities, such as an excursion to a farm to observe animal behaviour, may be carried out by all students and teachers. Category 5 activities, such as collecting blood from cattle, may be carried out by students only if prior written approval has been obtained from the Schools AEC. The guidelines prohibit certain activities using animals, because of the animal welfare problems they cause. These prohibited activities include creating nutritional deficiencies, breeding animals for use in dissection classes and imprinting (where animals like newly hatched ducklings and chickens are handled and raised to bond with humans rather than with their own species). These exercises have, in the past, presented significant animal welfare problems, including difficulties in finding suitable homes for the imprinted animals, in weaning them from human dependency prior to their return to a herd or group, premature death, avoidable disease, malnutrition and social dysfunction. animalsinschools/index.htm). A recently added resource on reptile care comprises text, photographs, video and links to other relevant websites, providing an engaging means of educating teachers and students, and assisting them in meeting their duty of care to the animals that they keep. A selection of schools are visited each year by members of the Schools AEC, which allows for face-to-face discussions with teachers. The visits follow a formal procedure, which includes an inspection of animals and animal housing facilities. After considering an inspection report, the AEC provides a feedback report to the school. The report will include any changes that need to be made to animal care and use, and is aimed at assisting the school to comply with animal welfare legislation. Additionally, a dedicated Schools Animal Welfare Officer has regular contact with teachers on behalf of the AEC. The Code recommends that external reviews of animal research establishments (which includes operation of the AEC) be carried out every three years. In NSW, veterinary inspectors from the Animal Welfare Unit of Biosecurity NSW and members of the Animal Research Review Panel regularly inspect research establishments. The latter is a 12-member body that includes representatives from scientific as well as animal welfare organisations. After the inspection, a comprehensive report is provided to the establishment, and requires any identified problems to be rectified. The Animal Welfare Unit and Animal Research Review Panel also act as an information source for AECs. They jointly maintain a website, Animal Ethics Infolink (http://www.animalethics.org.au), as a resource for AECs and others involved in the care and use of animals for research and teaching. Although there are differing views within the community on the use of animals in research, the AEC system provides a means for a cross-section of the community to take part at the decision-making level and to have a role in implementing the “3Rs”, to the benefit of animals.